I reckon you could - main problem as I see it is that the growth you subsequently get might be too weak to do much in the way of fruiting - no harm in trying though. Is it ok to winter wash when there is frost? no problem doing it in frosty weather - not so popular these days, as it kills the good bugs as well as the bad ones. 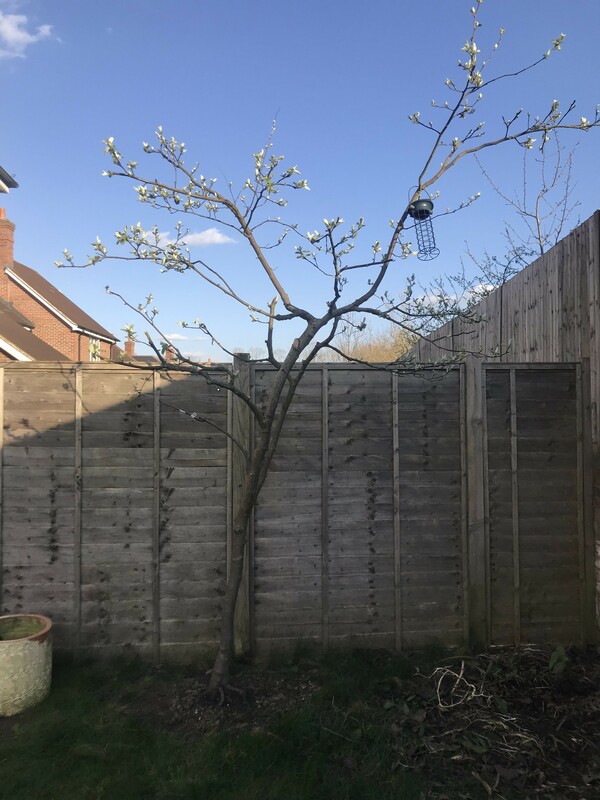 on any tree, flowers are only a minor outlay for the plant - what matters most is taking off any fruit, if you don't want it, beofre it starts getting big -as a lot of energy goes to producing that. I grafted pear scions from Lardman but they are not budding like rest of the tree. Lets wait and see. As long as the new grafts grow, that's the main thing - if they don't flower this year, they will another time. Last edited by Selymbria; 25-03-2019 at 04:29 PM.